Why it matters: 8BitDo is launching a new controller honoring Sega's classic 16-bit console as well as a receiver for wireless play on retro systems. Analogue also has a new Sega retro system on the horizon that goes on sale in April. Ahh, what a great time to be a retro gamer! 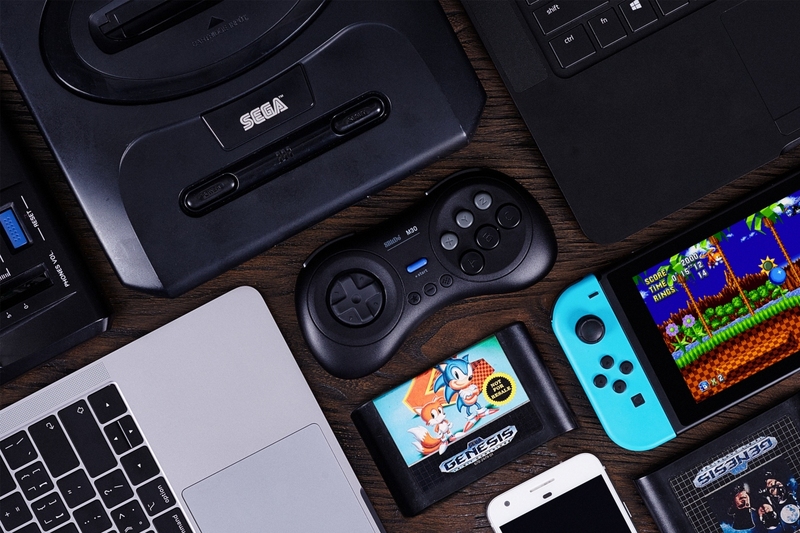 Retro accessory maker 8BitDo on Monday announced two new products aimed specifically at Sega Genesis fans. With the M30, 8BitDo set out to redefine the greatest six-button controller ever made. The gamepad looks a lot like the original from Sega albeit with some modern flare and features including USB Type-C and Bluetooth connectivity as well as turbo functionality. It’s compatible with Windows, Android, macOS, Steam and Nintendo’s Switch and is available to pre-order from today over on Amazon for under $30. Look for it to ship on February 28. The new 8BitDo Retro Receiver for Sega Genesis and Mega Drive, meanwhile, lets you play games on your old console wirelessly. It’s compatible with all 8BitDo controllers as well as next-gen controllers from the PlayStation, Xbox and Switch. The 8BitDo Retro Receiver for Sega Genesis and Mega Drive also launches on February 28. It can be pre-ordered for less than $25 via Amazon. 8BitDo’s new Sega hardware arrives just ahead of the Analogue Mega Sg, a retro console capable of playing Sega Genesis, Mega Drive and Master System cartridges. It lands in April for $189.99 and like the 8BitDo hardware, can be pre-ordered as of writing.